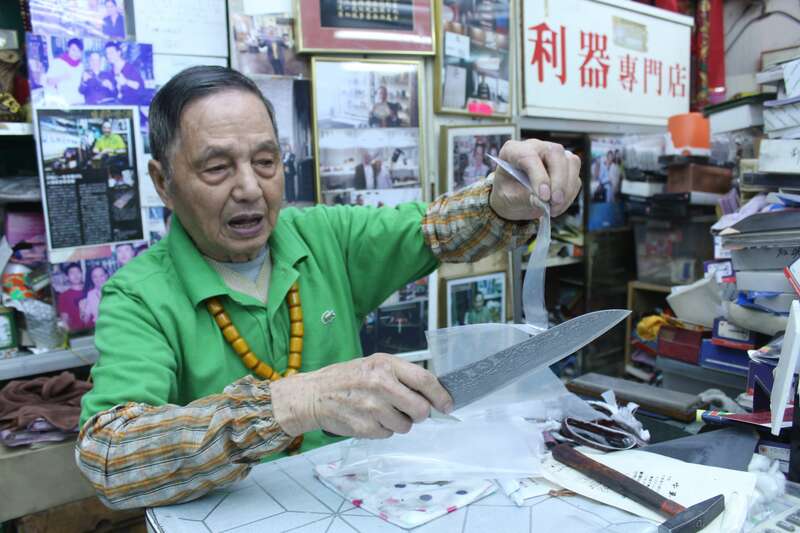 A full steel armour stands in the show window of Chan Wah Kee, a cutlery shop on Temple Street in Mong Kok.Chan Dong-wah, 85, is one of the few remaining knife sharpeners inHong Kong. 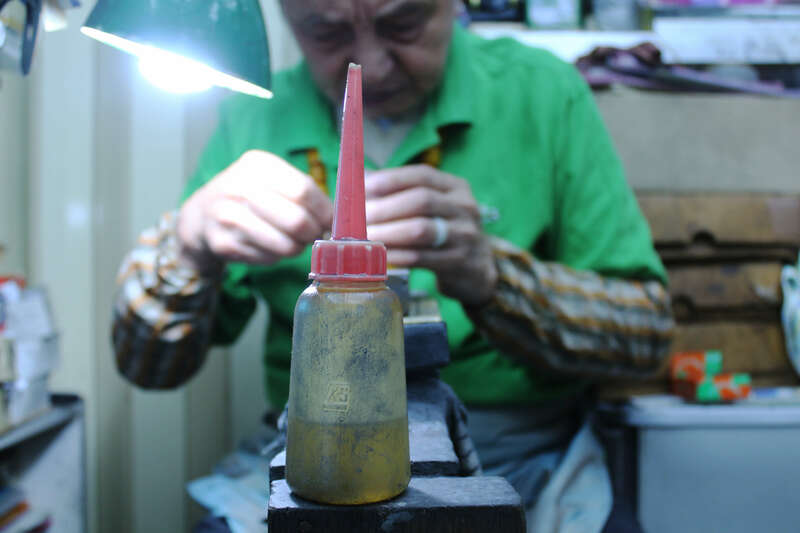 He has been whetting blades for more than 70 years.Chan first learnt the art of knife sharpening in Guangzhou when he was 11 years old. 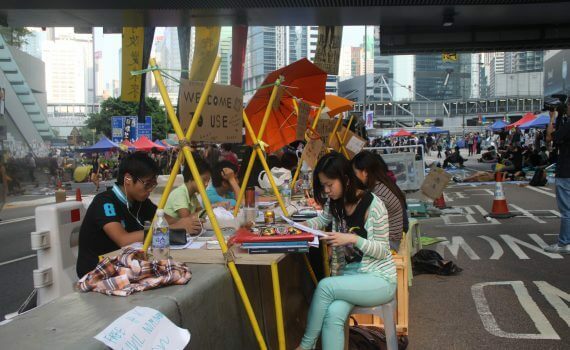 Four years later, he came to Hong Kong and set up his stall on Temple Street, sharpening tailor's scissors. After 20 years of hard work, he finally owned his cutlery store. "The key to sharpening a blade," Chan said, "is all about hearing and manipulating the force." So he has been practising Qigong for a long time. 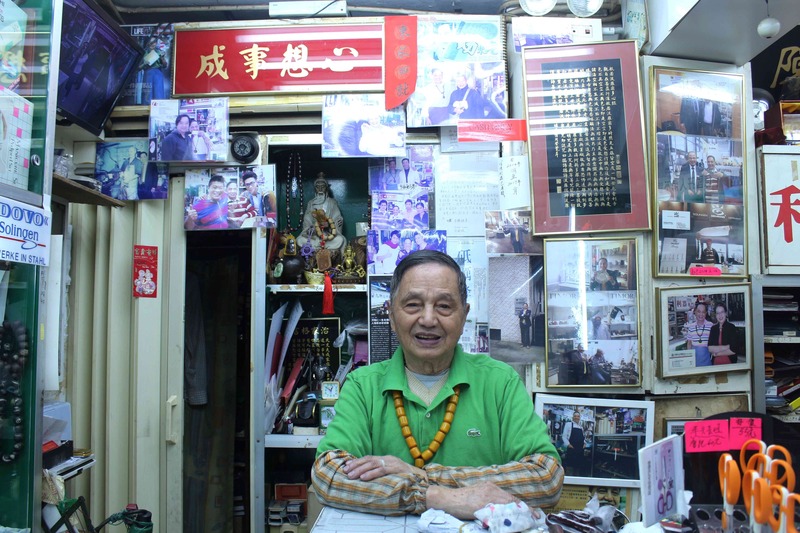 One of his unforgettable customers was a Hongkonger, who immigrated to New York years ago. The man visited him with his newborn great-grandson, together with some pork knuckles and ginger stew. "That was really remarkable, it reminds me that time really passed so quickly," he added. 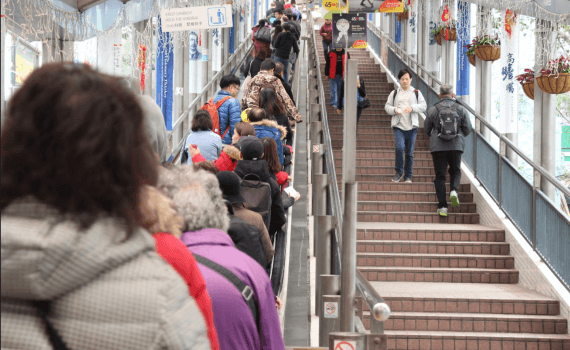 "I am already 85 and can actually retire now," Chan said. 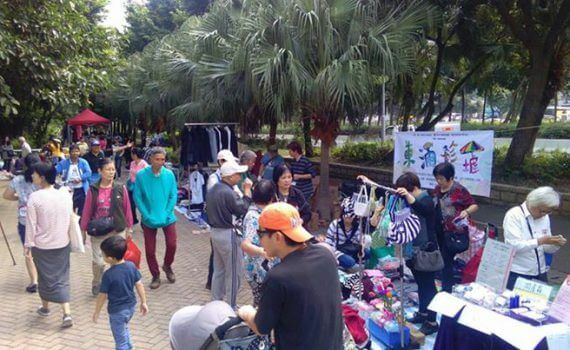 "But I feel happy seeing my clients. That is why I keep on sharpening." However, Chan has not found any successors yet. A handful of people tried to learn from him before but thought the job is too tough. So they left. "Young people are not willing to learn the techniques because it takes a long time to master, not to mention it cannot bring them much money, "he sighed. "People in my time are not well educated, we tend to learn a skill to earn a living. 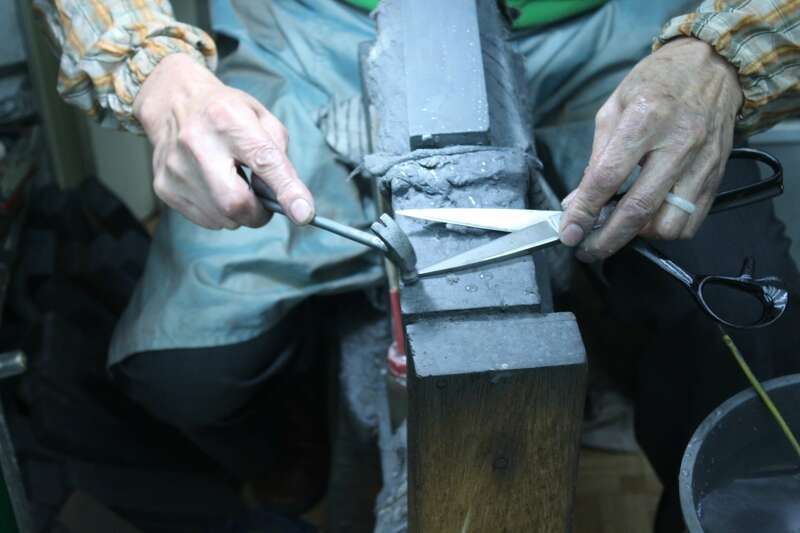 I chose to be a knife sharpener because only simple equipment is required, like stones, water and oil," Chan said. A drop of high-temperature lubricant is essential to preventing the temperature of the blade from going too high. With years of experience, Chan said German manufacturers specialize in making scissors for cosmetic purposes while Japanese companies are good at producing knives. 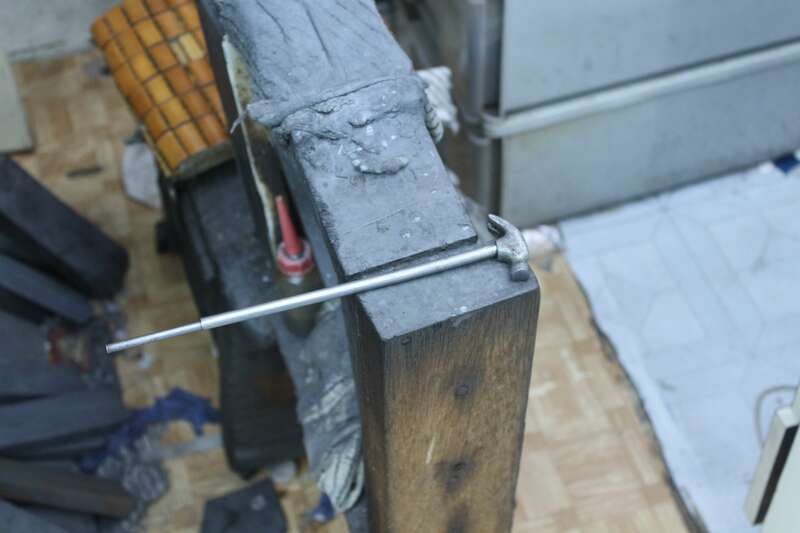 The whole sharpening process involves water, oils, and nine pieces of stones. 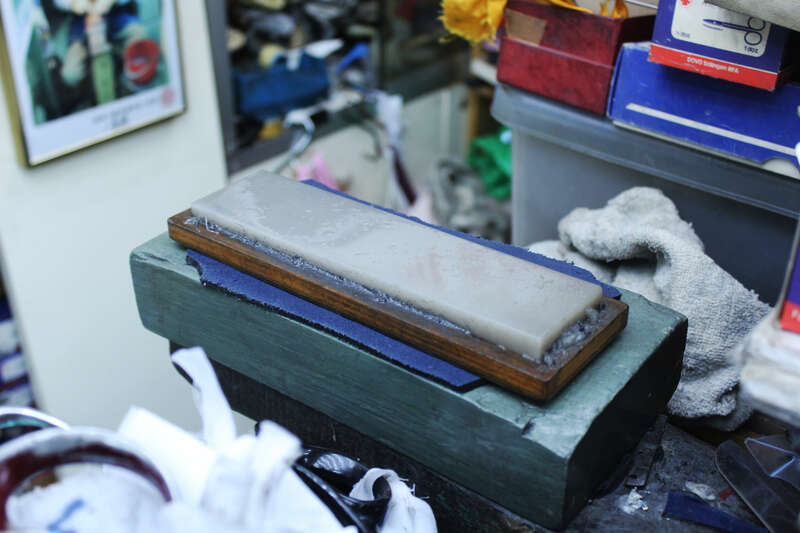 This rare natural stone with the highest density in the world is only for blades that are made of high-quality materials. Chan demonstrates how a sharp-edged knife can cut through several layers of plastic bag without applying much force. 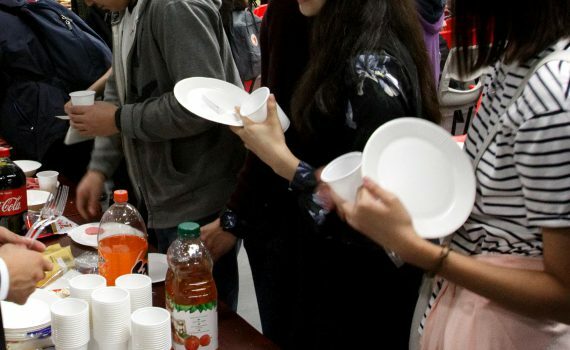 "Some people may just walk away after asking me the price of sharpening a knife, because they do not think it is worth spending hundreds of dollars on it," Chan said. "Once a chef asked me to repair broke a pair of scissors, I told him to wait for three months because there were too many orders. He said I was too arrogant then left. Never mind...he will never find someone like me." 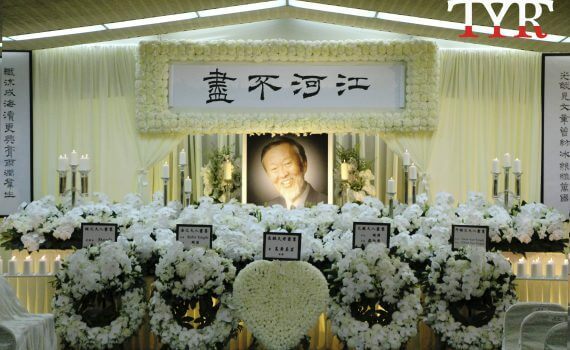 Thousands pay last tribute to "Father of Fibre Optics"